Wonder. Artists who have taken this sentence as their guide have come to realise just how precious communicating Wonder is. In fact, it’s so precious that Mythgard Institute by Signum University is sub-creating a whole conference about it. Yep, that’s right: Mythmoot IV, a whole conference from June 1st to 4th of 2017, just about Wonder. And you can be part of it. You may have heard of or even been to previous Mythmoots, and that means your expectations are high. But this time, in keeping with our theme of Invoking Wonder, we are going over the top. We are making Mythmoot IV into an academic conference turned wildly creative, so that friends old and new can come together and talk, taste, see, and touch how artists and scholars of all types are trying to ‘do’ Wonder. The over-the-top-ness starts with Mythmoot IV’s setting. Instead of the regular hotel, we are moving our festivities to a little town in Northern Virginia, where as with the Last Homely House there awaits the National Conference Center full of food, fellowship, lawns and greens and fireplaces, cozy rooms and grand halls. Just for us, to talk about Wonder. Trails run along the River and tunnels wind from building to building, If you bring a bit of your own Wonder, you might just discover that Rivendell is nestled by the Anduin, which flows beside the Mines of Moria, somewhere in Leesburg, VA.
See, we are going for Wonder here. But then we add our speakers and special guests, people who have dedicated much of their lives to invoking Wonder in some way or other. Dr. Verlyn Flieger is already well-loved in the Signum and Mythgard communities for her excellent contributions to Tolkien studies, including the recent publications of some of Tolkien’s lesser-known but positively thrilling works. If anyone can talk Wonder, it’s Dr. Flieger. We also have Dr. Mike Drout, a friend to word-smiths the world over. He knows that language can come alive, and goes way back, and will keep stirring Wonder if we only let it. I for one cannot wait to hear what he brings to Mythmoot’s table of Wonder. And if you thought this was just about literary academics, you’ve got another thing coming. 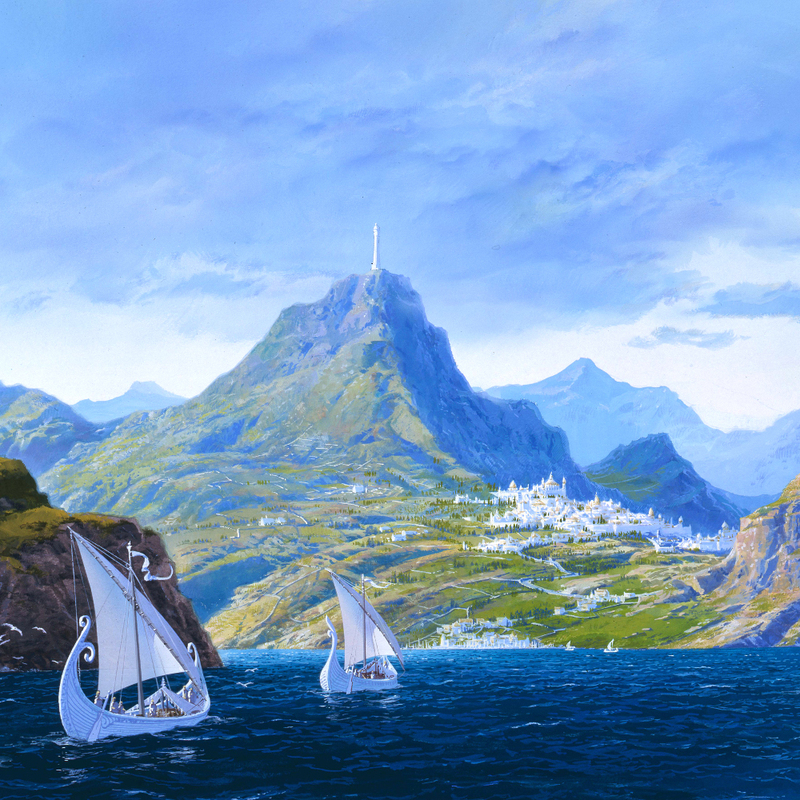 Ted Nasmith, a celebrated painter, and John di Bartolo, a fantastic musician, are also contributing to the Wonder that will be Mythmoot IV, because Wonder doesn’t just come through words; it comes through light and colour and music too, and don’t we want to show Wonder for all it’s worth? Oh, my, yes. That brings up another point: you. Do you have some creative writing you want to share? A tapestry or painting? A fantastic project to display? How about the spark of an idea begging to be turned into a conference paper? Our CFP covers all of these wondrous mediums and more, and we welcome you to join us in celebrating Wonder the way you do best. Topics range from Mary Shelley to the Inklings, from philology to philosophy, from welding to weaving — as long as it is Wonder-ful. Be sure to look for all the details in our CFP. Remember, the deadline for submissions is 28 February 2017, so send in your proposals soon! But maybe you want to attend without the pressure of performing. Mythmoot IV needs you, too! With trivia nights, spontaneous outbreaks of song, fun and friendly conversation, late evenings of feasting and masquerades (oops! did I just let a surprise slip!? ), there will be plenty for you to enjoy and so many ways for you to help us discover Wonder just by being there. You’ve got that right. Registration is open. And although a very wise man once said, ‘If more of us valued food and cheer and song above hoarded gold, it would be a merrier world,’ we know that sometimes ‘gold’ can be a bit of an issue. That’s why we have Early Bird Registration already under way — just in time for the perfect Christmas gift! If you register for the conference before the end of the year, you will have a bit more ‘hoarded gold’ to cheer along the food and song, which, in my estimation, is never a bad thing. However, after 31 December our Early Bird price turns into a pumpkin, so be sure to follow the registration links soon. If you have any questions or ideas, be sure to email us at events@mythgard.org. We would love to from you. Also check out our regularly updated Signum and Mythgard webpages about Mythmoot IV: Invoking Wonder, where you will find our CFP and all the new announcements yet to be revealed. A world of Wonder awaits, if only for a weekend.